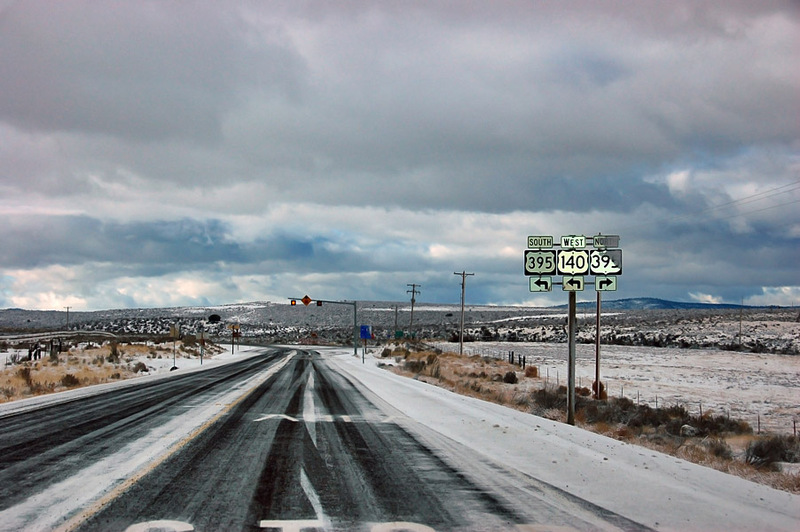 State route 140 westbound at US 395. Erroneous US-140 shield. Photo by Jake Bear, 12/7/2007.